RHI tariff levels to rise on the 1st April!! 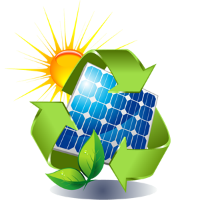 Domestic RHI tariff rates are to rise from the 1st April 2016 on both solar thermal and air source heat pumps, making it the perfect time to install either technology, especially solar thermal before it’s proposed removal from the Renewable Heat Incentive this time next year. 01/07/2016 – 30/09/2016** If any new tariff changes are to be made due to degression, the next announcement by DECC would be by 1 June 2016.